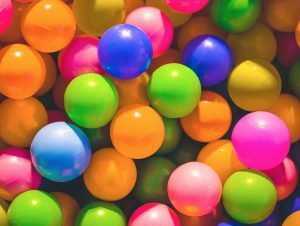 6 Skillful Silly Party Games With Ping Pong Balls - Icebreakers, Icebreaker Ideas, Games, Activities! Want a great party? Check out these silly party game ideas — all you need are ping pong balls (also known as table tennis balls)! You want to see your friends shake their hips, right? This is a game of vitality, constitution, and something that looks very much like twerking. An empty tissue box for each player. Use the tape to attach the tissue box to the back of each player’s belt. The box will sit just above the player’s buttocks, with the opening of the box facing away from the player. Put eight ping pong balls into the tissue box of each player. Have somebody not playing stand behind the players as the judge. All players should use the swinging and shaking of their hips to empty the tissue box of all ping pong balls as quickly as they can. This can take longer than you might expect. Cheering is encouraged to keep the twerkers working. The first player to evict all balls from their box wins! All the fun of bouncing ping pong balls without the paddles. This chaotic and fast paced game will have you bouncing balls into an egg box. It will leave a mess of balls all over the room, but you’ll be so focused until the end of the game you might not even notice. Ping pong balls. Lots of them! Each player should have a different colour. An empty egg box. Check that vacant egg space will fit one of your ping pong balls. A chair, stool or table for each player, plus one. Anything with with a hard flat surface will do. The final surface is to hold the egg box. Place the egg box on one of your chairs/tables in the middle of the room. Place each of the other chairs an equal distance away from the egg-box, in a circle if possible. Have each player stand behind one of the empty chairs/tables. Players must bounce a ball off the chair/table in front of them so that it lands in the egg box. This is harder than it looks! Ping pong balls that hit the eggbox may tumble around like a rugby ball, and fall out onto the floor. All players play at the same time, and can work through their balls as fast as they like. The first player to land five balls of their colour in the eggbox wins! Tip: Consistency is key. You can’t control exactly how your ball is going to act if it hits the egg box, but if you hit the egg box more often than other players you’re more likely to get lucky. Find a technique that works for you and stick with it. This game uses the same bouncing mechanics as the game above, but the distances are shorter so players have more control over their ping pong balls. The skillful will prevail. It also takes up a lot less space, and does not require more than one colour of ball. A bunch of ping-pong balls for each player. Any color. Four glasses for each player. Have each player stand facing the edge of a table. In front of each of them, about 40cm from the table’s edge, line up the four glasses parallel to that edge of the table. Give each player a bag, box or bowl of ping pong balls. Players must bounce their ping pong balls off of the table’s surface and into the glasses in front of them. The ping pong balls must be bounced off the table before they go into the cup — they cannot be thrown directly into the cup. The first player to fill all of their cups wins! Here’s a fun use of a bath towel. If you ever tried to whip somebody in the school locker room, you know you can get a mean flick with a towel. Use that power to launch ping pong balls across the room into a goal. A weight for each player. This is to hold one side of the towel down. A doorstop, dunbell, or particularly heavy book should do the trick. Ping pong balls. Of course. A box, bin or bucket for each player. These are the goals. Lay down the towels on one end of the room. Hold down one end of each player’s towel with a weight. Place a ping pong ball on the other end of the towel, ready to be flung. Place the boxes, bins or buckets on the other end of the room, one opposite each towel. Players should kneel or stand at the end of the towel with the ping pong ball. Players will fling the towels upwards and forwards to launch the ball towards the boxes. Another nice quality to ping pong balls is that they float, and with a little force that buoyancy can allow them to jump out of the water. We can use that to play a game that requires a controlled use of a particular force that comes from your body. That force is the air expelled from your lungs, which we will use to propel ping pong balls from one glass of water to another. At least 3 Ping pong balls per player, and ideally a couple spare. Fill each of the six glasses with water up to the top. We will set the glasses up in pairs: one where the ping pong ball starts, and another where it should end. The pairs should get harder as the player goes on, so we put them further apart. The distance between the leftmost glasses should be 10cm apart, the middle glasses should be should be 17.5cm apart, and the rightmost glasses should be 25cm. The three “starting glasses" should be in line with each other. Put a pnig pong ball in these glasses. Now you should have six glasses, in three increasingly difficult pairs, in front of each player, with a ping pong ball in each of the three glasses closest to the player. Using only the power of blowing, each player must push the ping pong balls from the starting glasses into the target glasses. If you have spare ping pong balls, if a player’s ball misses the target glass they can take a spare ball and put it in the relevant starting glasses. Otherwise they will have to chase after the ping pong ball they just blew and use that instead. The first player to get ping pong balls in all of the target glasses wins! Another game that uses breath. You will be blowing some balls off of a dinner plate, while trying not to blow other balls. This one will require a gentle touch and a little thought about how and where you’re blowing. A dinner plate for each player. Ping pong balls of one color. Enough to almost fill one plate, for each player. Some ping pong balls of a second color. You only need three per player. These are the balls you want to stay on the plate at the end of the game. Put the plates on a table, chair or stool. You will want to move to get to all sides of the plate. If you have to use a large table, put the plates in the corners of the table to make it easier to move around them. Fill the plate with ping pong balls, including the three balls that are a different colour to the rest. Players take a deep breath. The aim is to blow all ping pong balls off the plate, except the three different-colored balls. If one of the different colored balls comes off the plate, it must be placed back on the plate before the player can continue blowing the other balls. The first player to be left with only the three different-colored balls on their plate wins!